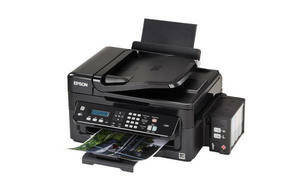 Snapshot: The Epson EcoTank L565 connects via WiFi and USB and has a 2.25" display. How well does it print? Has an auto document feeder.